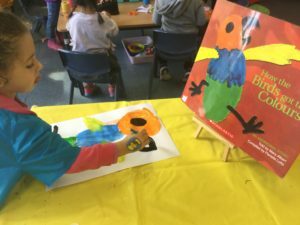 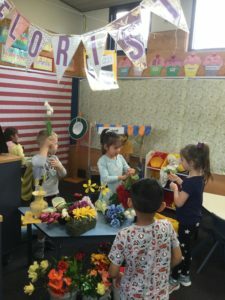 Kindy Gold has been busy! 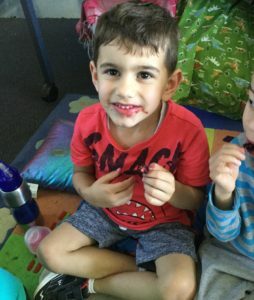 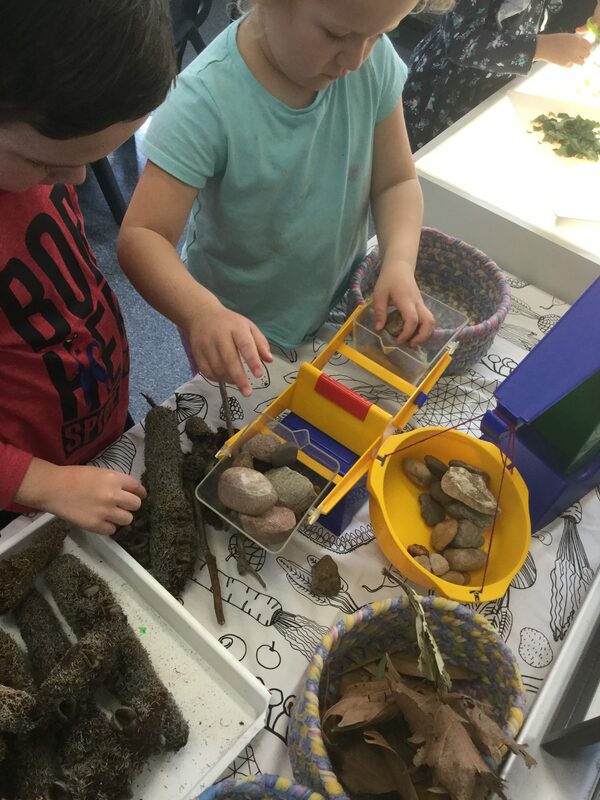 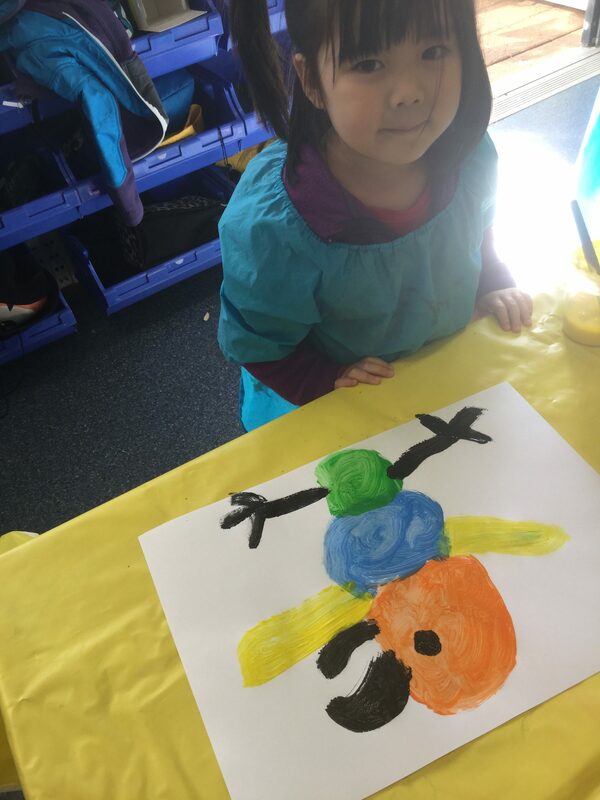 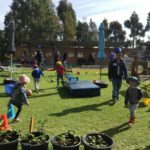 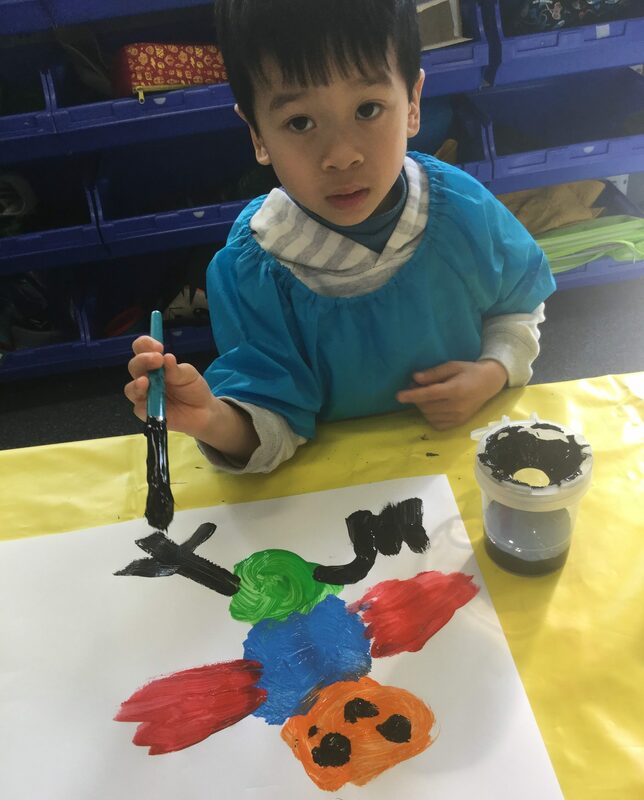 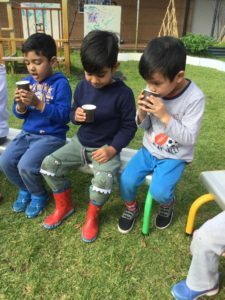 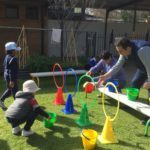 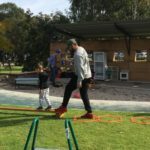 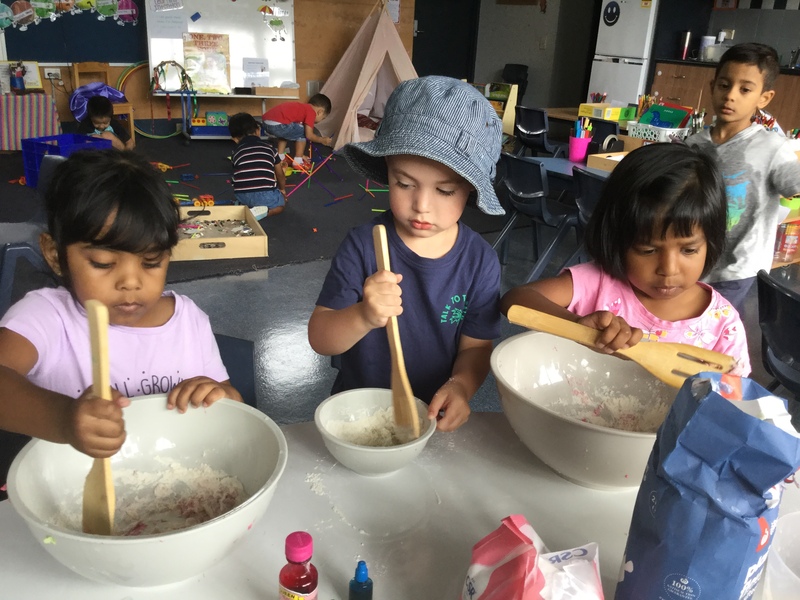 Kindy is so much fun! 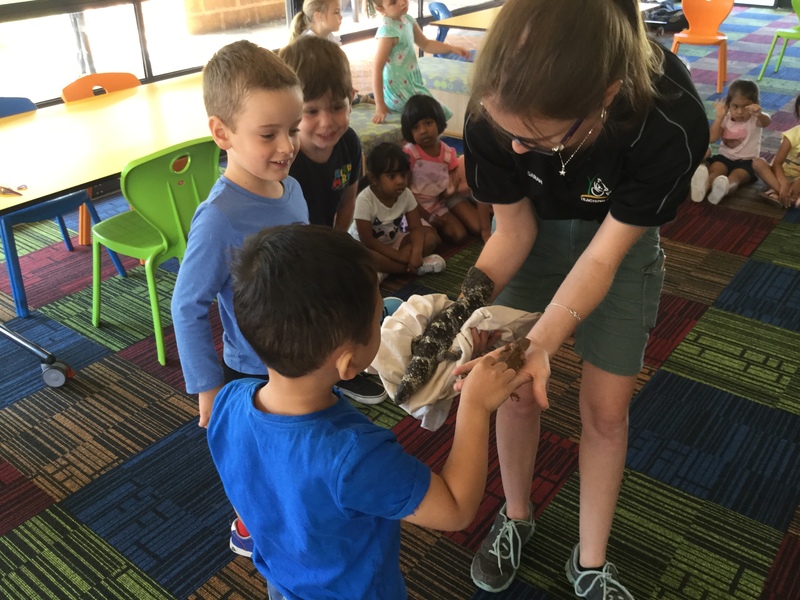 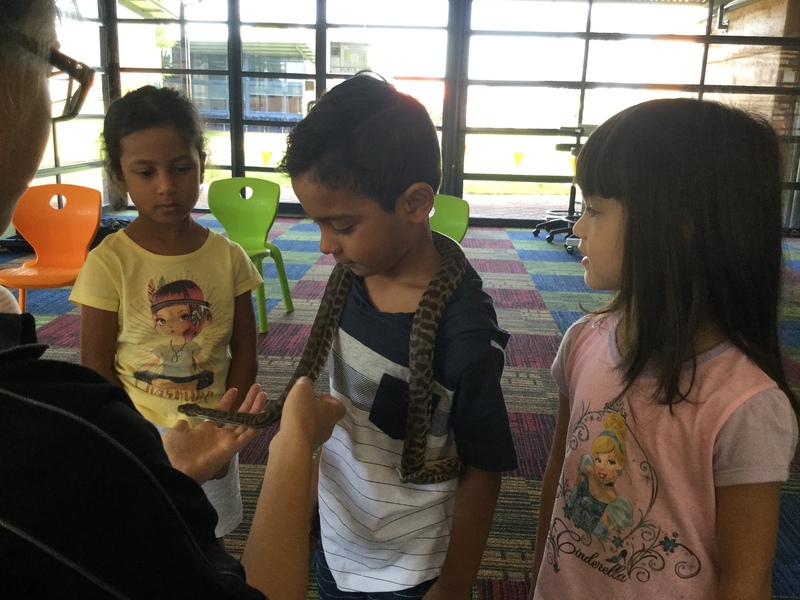 Australian animal and Reptile incursion! West Oz came to St Emilie’s to teach us all about Australian animals and reptiles. We learnt all about where they live and what they eat. 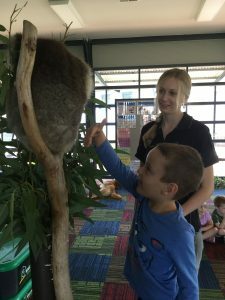 We could touch them as well. 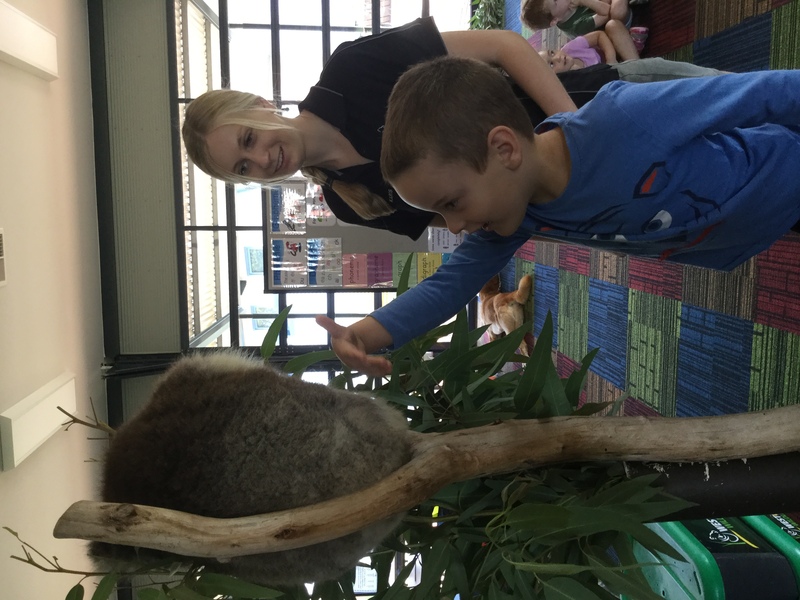 Some of the animals were a bit scary but we had lots of fun! COOKING SCONES! 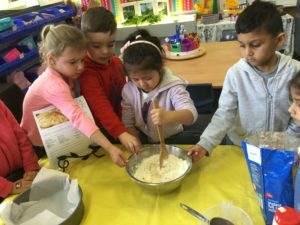 We have been busy measuring, mixing and baking. 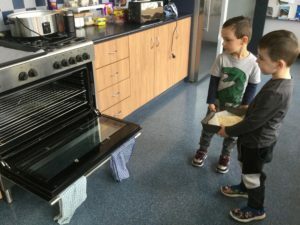 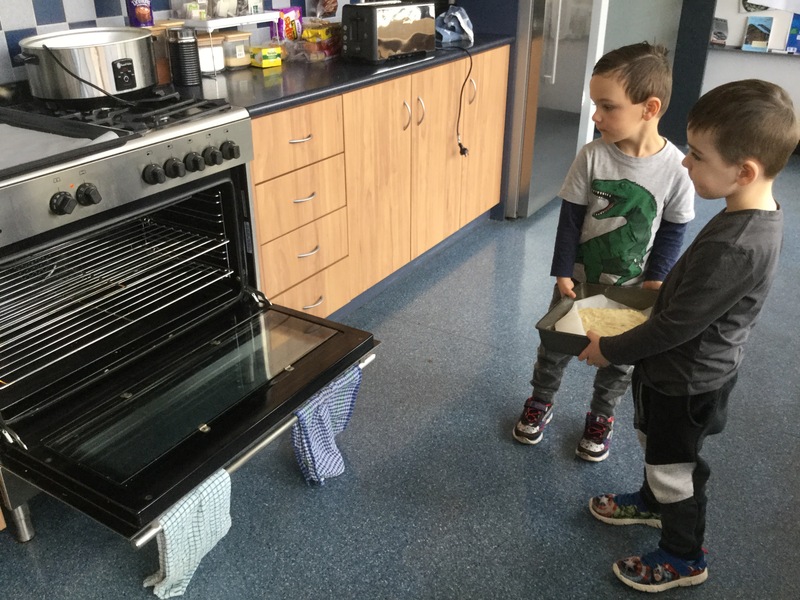 We learnt how to make scones! 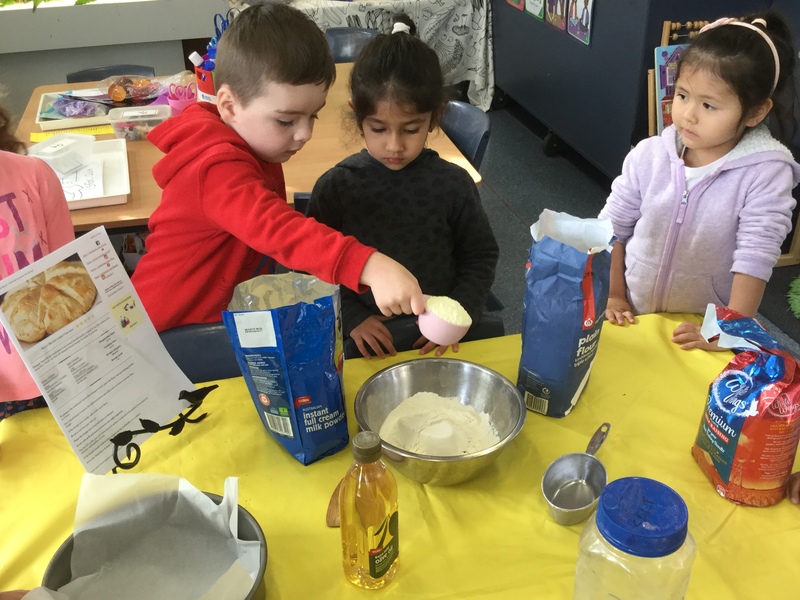 We looked at the ingredients to see what we needed and followed the steps to see what to do. 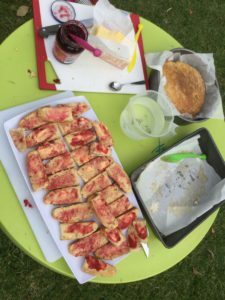 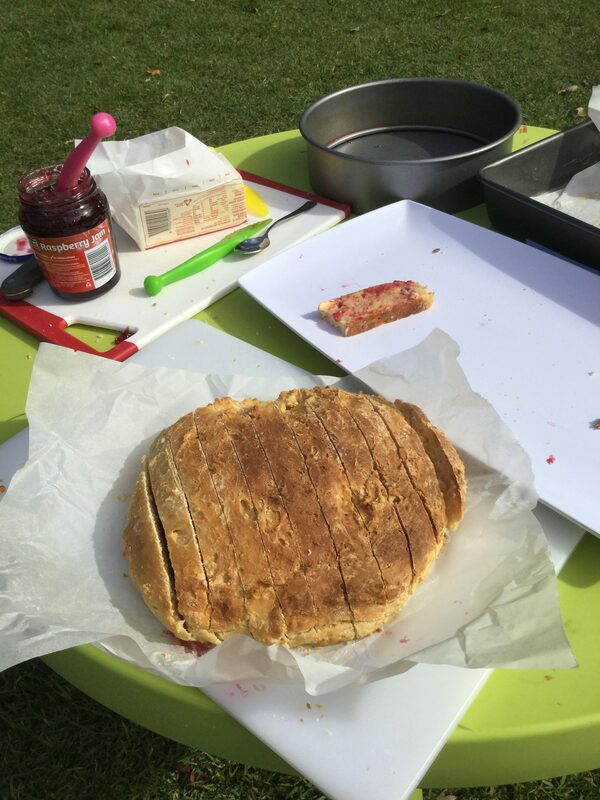 After all our hard work we had a picnic with all of our friends and enjoyed our delicious scones together. 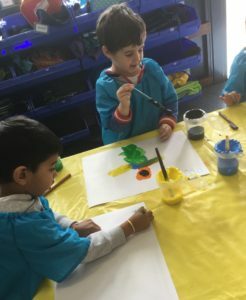 In Science we have been learning about the sun. 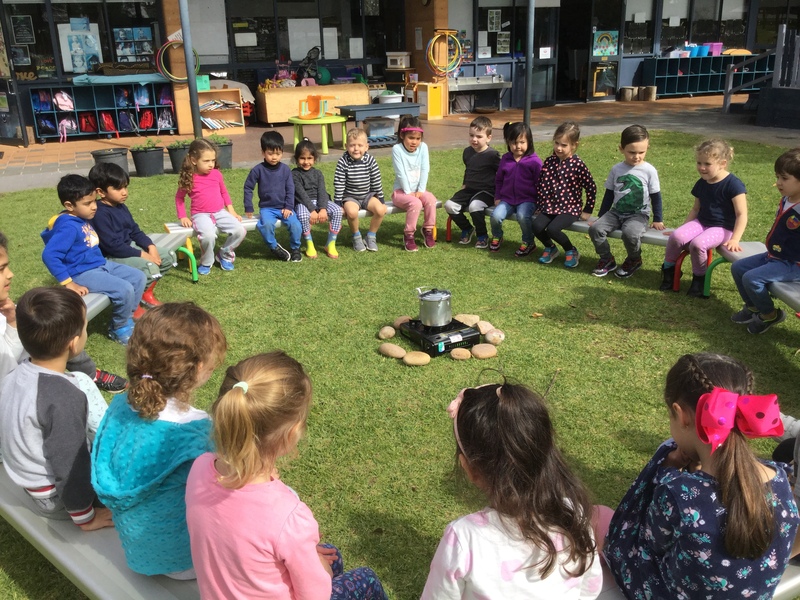 We know that the sun is hot and powerful. 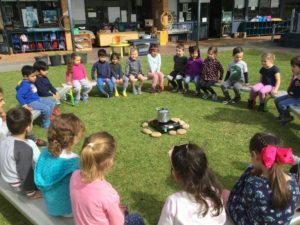 Last week we completed two science experiments. 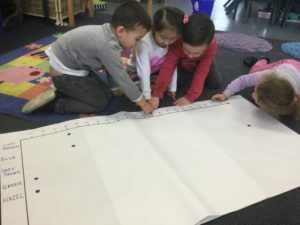 We predicted what we thought would happen and then we tested it. First we filled up a solar power shower and felt the water temperature, it was cold. 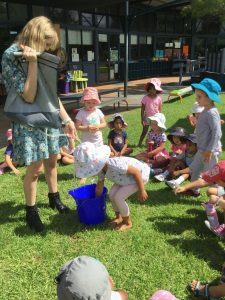 Then we left the solar power shower in the sun all day and tested the water temperature again at the end of the day and it was hot! 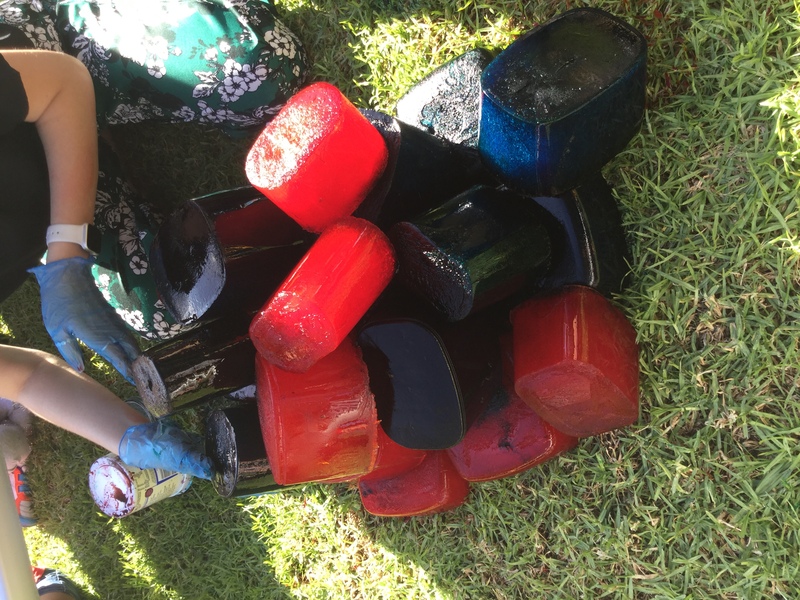 For our next experiment we build an ice tower in the sun. We checked on it throughout the day to see what was happening. 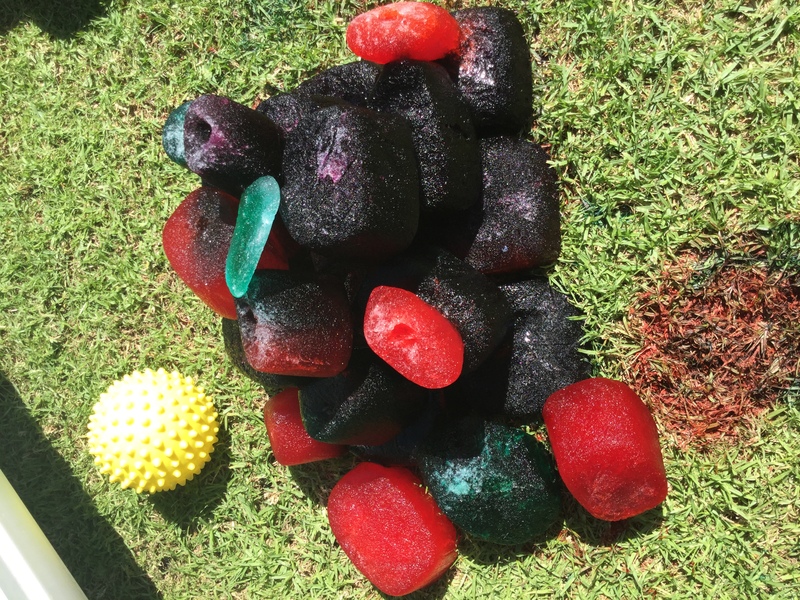 All of the ice melted and the colours mixed! 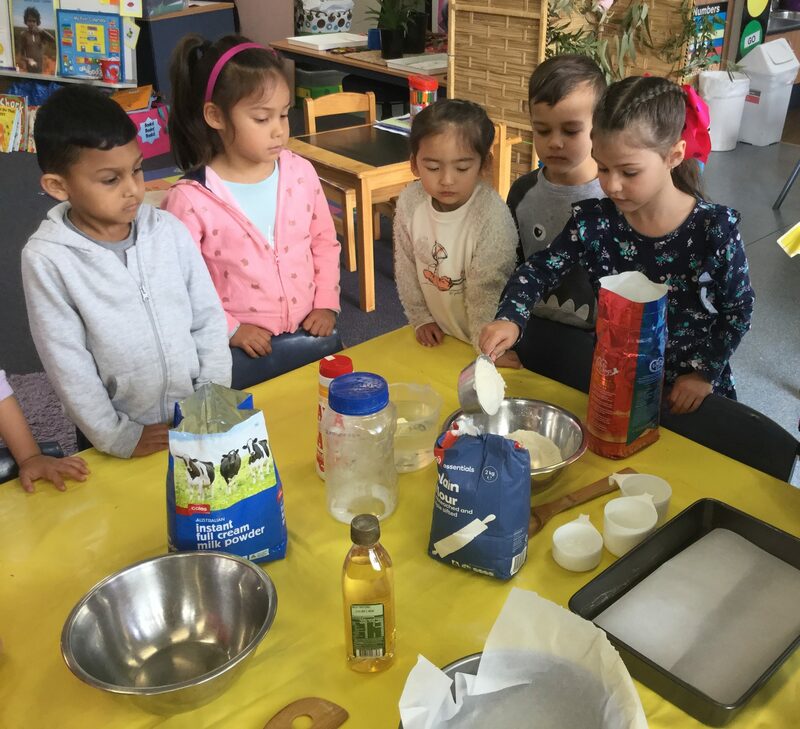 We are look forward to our next science experiment! 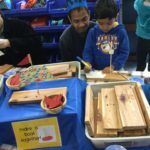 It has been a busy term! 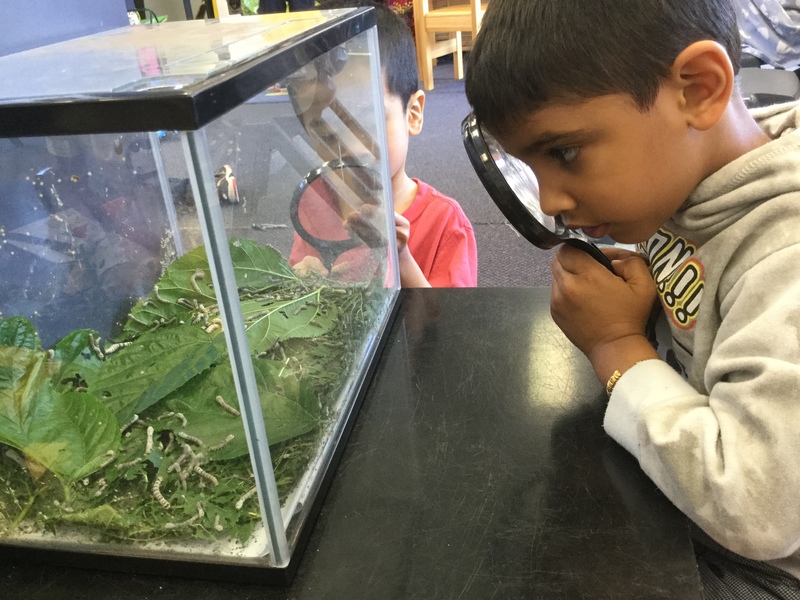 We can’t wait to see what’s next! 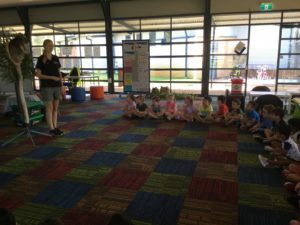 In Kindy Gold we have had a great start to Term 4! 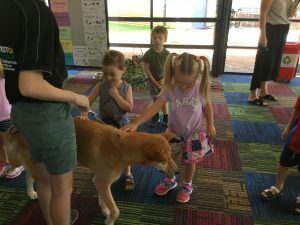 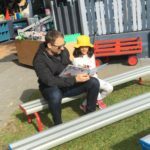 We WELCOME a new family and student to our school community this term. 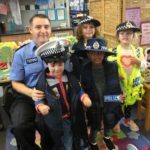 Welcome to Jeanette, Paul and Rhian Paniani. 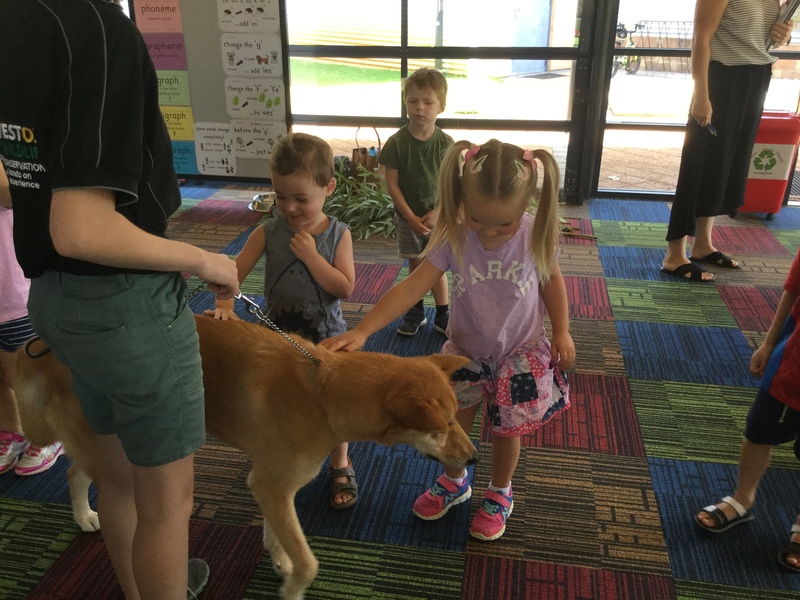 Our whole class were so excited to finally meet Rhian! 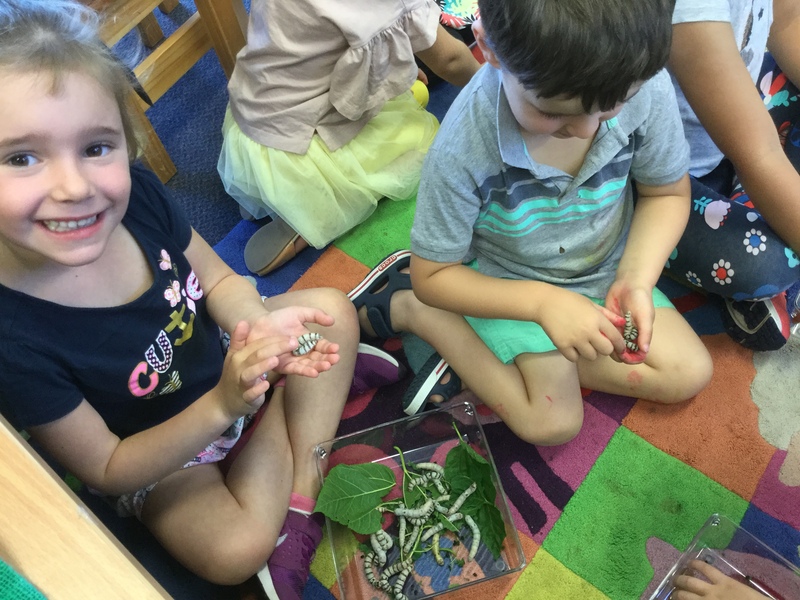 We are having so much fun with our new friend! 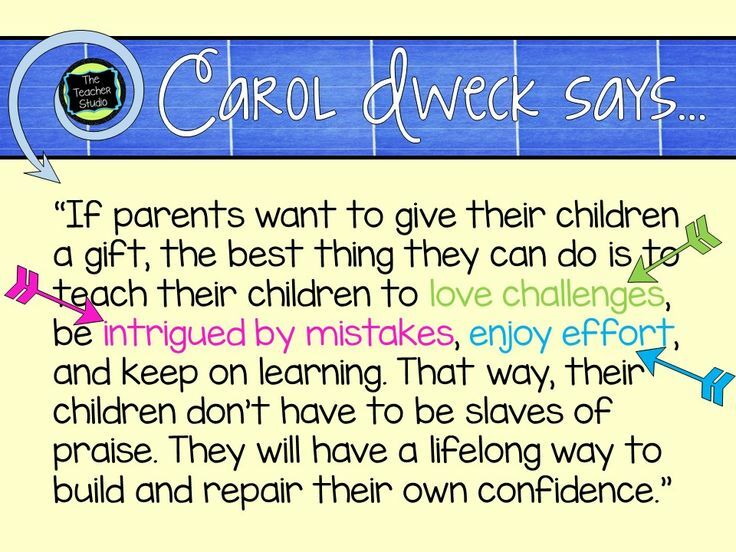 We have dived straight into our learning these first few weeks! Our Religious Education “creepy crawlies” unit has led us to wonder at our almighty God who created all the wonderful and amazing little creatures! 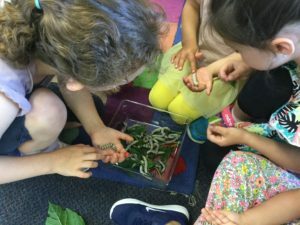 In our class we have been enjoying, observing, investigating and learning all about SILKWORMS and their lifecycles. 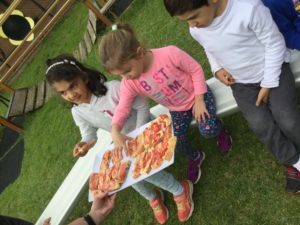 We sure do know that they EAT so much! 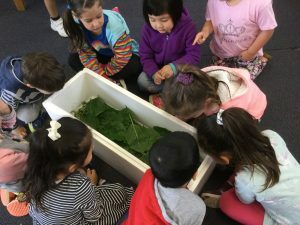 When we place the Mulberry leaves into their boxes we can actually HEAR them munching and crunching as they devour the leaves! Together, we discussed and brainstormed QUESTIONS that we wanted to know the answers to, about silkworms. We wrote these up on sticky notes and are working our way through researching and finding out the answers! 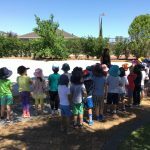 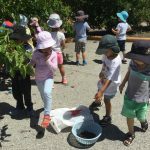 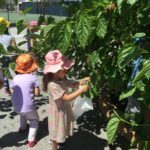 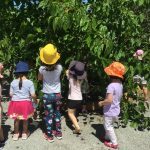 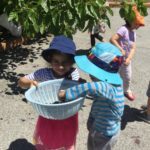 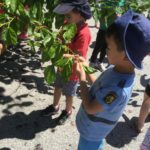 We went for a walk to see our school Mulberry tree. 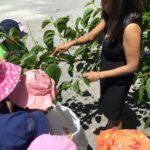 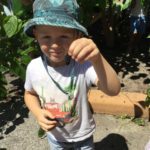 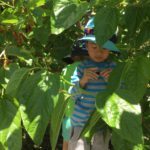 We picked leaves to feed our silkworms and we picked mulberries to share during CRUNCH & SIP time! 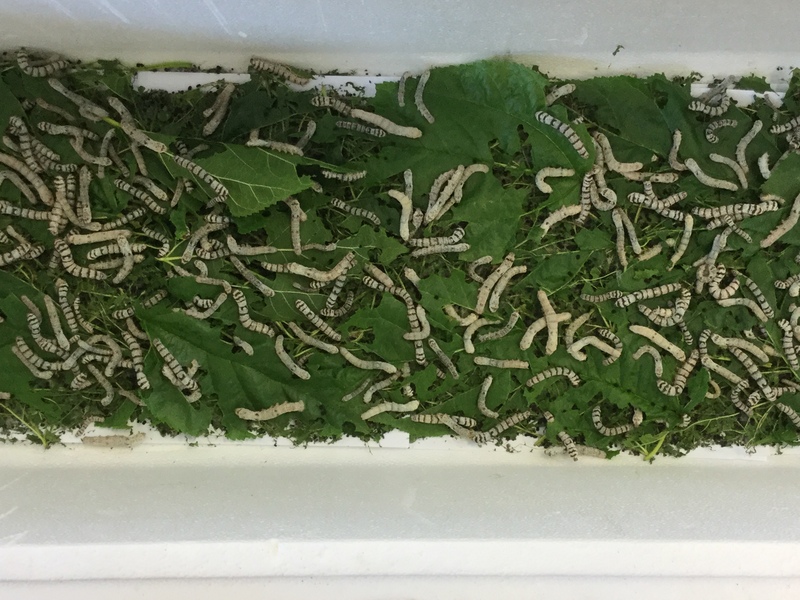 We are so delighted that the silkworms do not like to eat the mulberries…only the leaves! 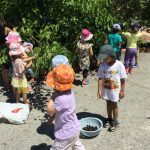 That means, we can enjoy the mulberries! 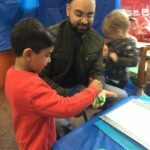 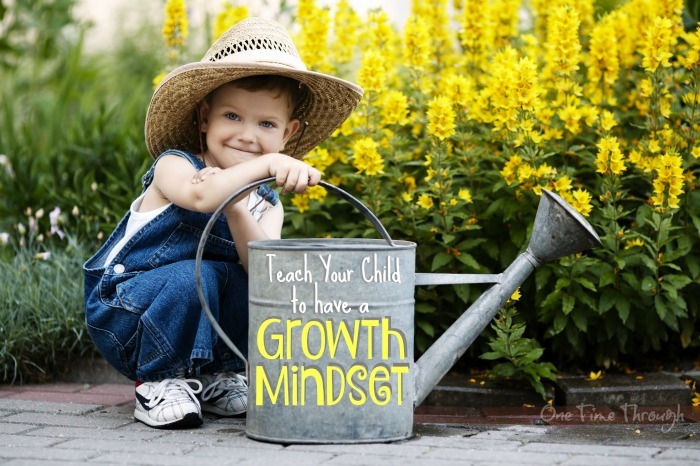 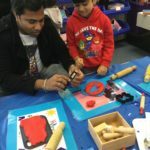 This ADVENTURE was great fun… linking real life to learning! 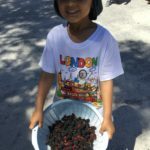 The mulberries were SWEET and juicy! 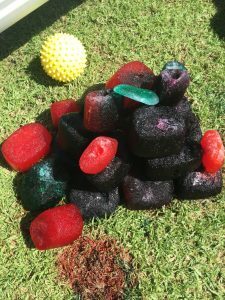 We enjoyed them for crunch and sip! 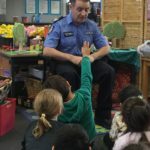 Many children were left wanting more! 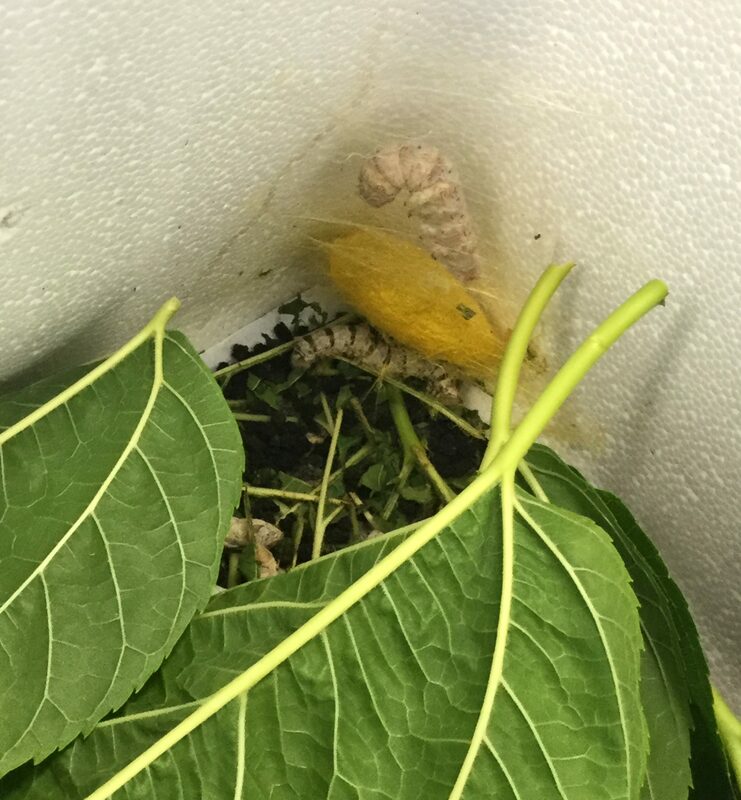 Our silkworms have now, almost all, created their cocoons and are in the metamorphosis stage. 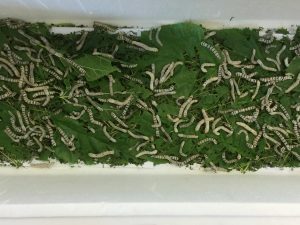 It was really interesting to view them spinning the silk to create their cocoons! 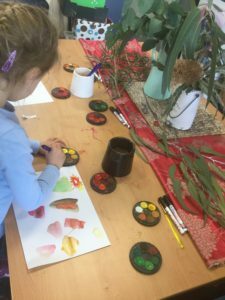 We learnt about how people use SILK to make clothes. 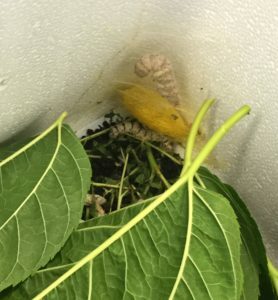 We are now awaiting their exit from their cocoons to see the silkworm moths! 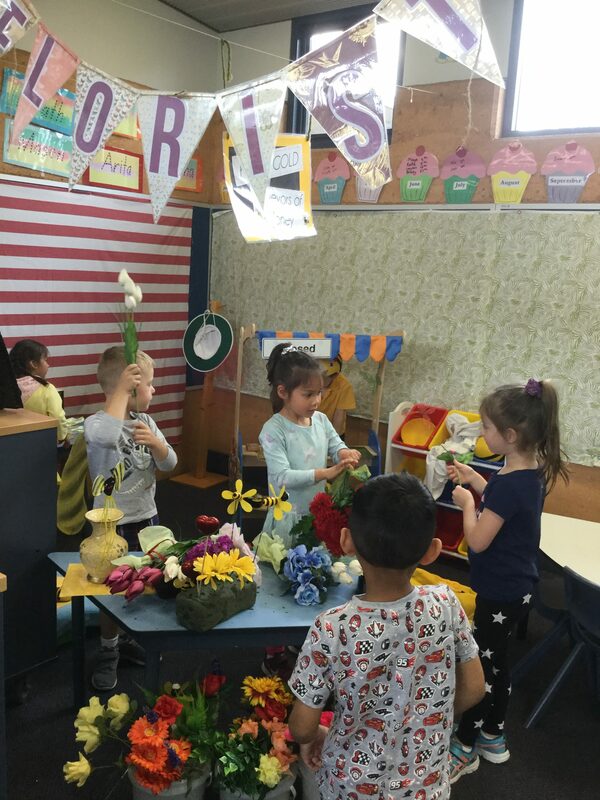 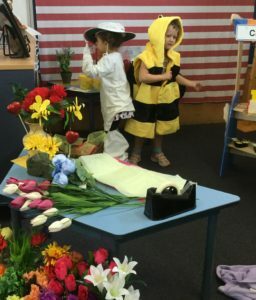 We have created a FLORIST and APIARY dramatic play center to integrate our learning about INSECTS. 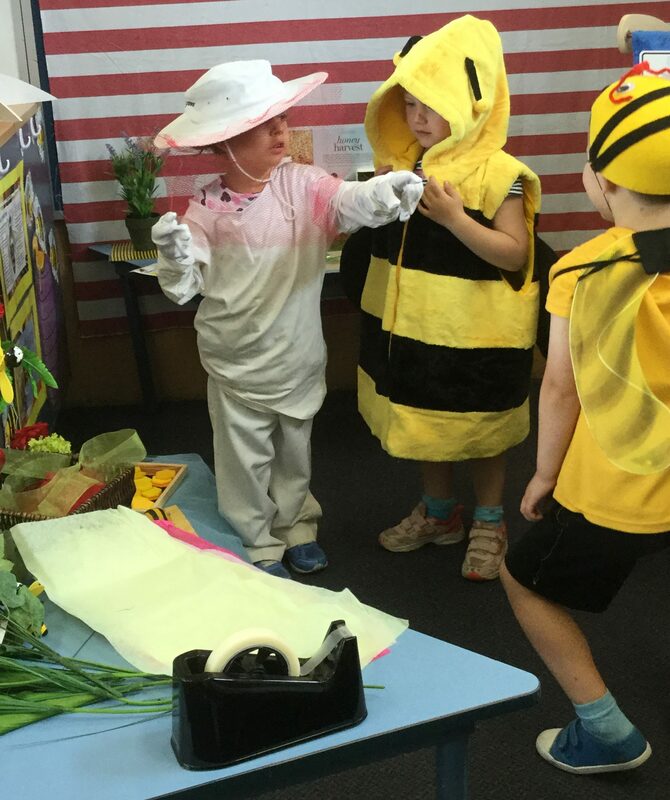 We are learning so much about BEES and how they are SO important to humans! 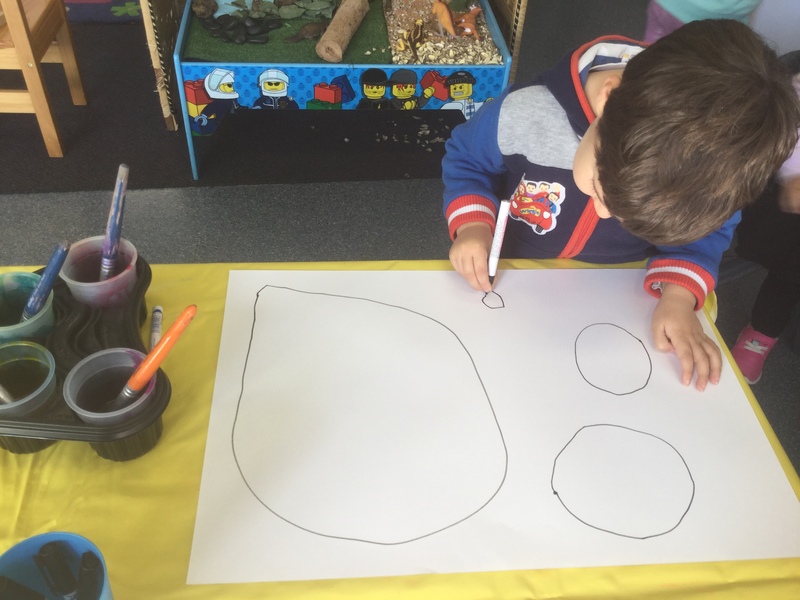 We have drawn our very own pictures of bees, remembering to include the important body parts of an insect: head, thorax, abdomen, six legs, two antennae and sometimes insects may have wings! Come in and check out our fabulous bees and the hexagon hive! 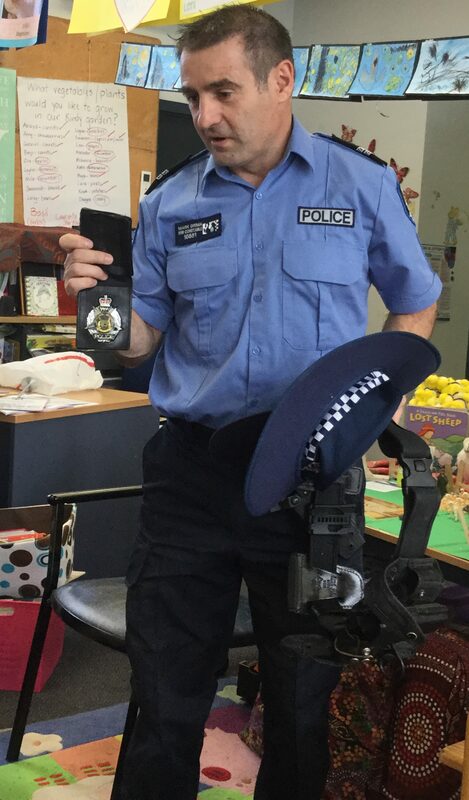 It was so wonderful when, Oliver’s dad, Mr Mark Grima accepted our invitation to be a part of our class discussions relating to our Keeping Safe: Child Protection Curriculum. 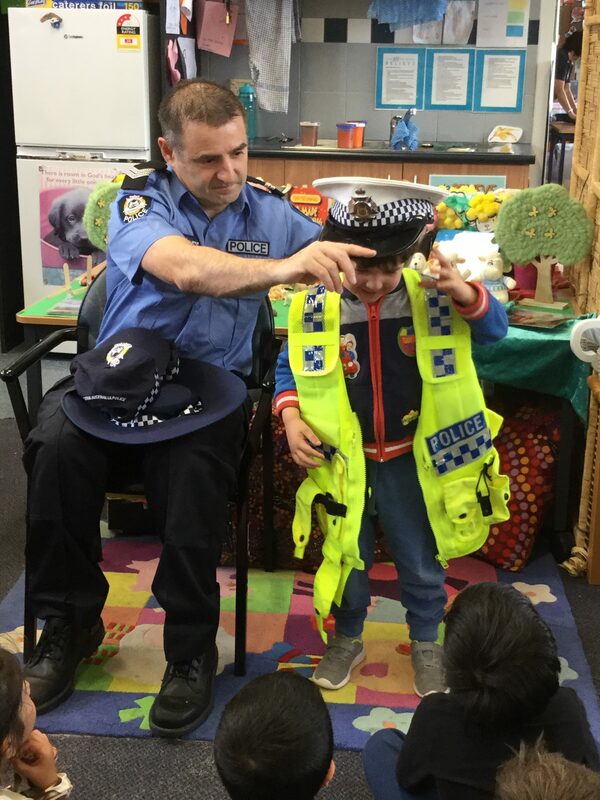 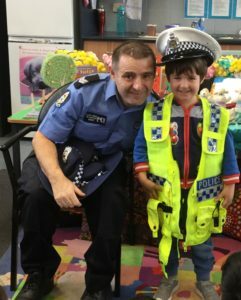 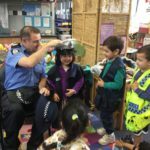 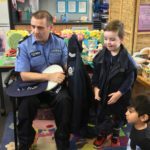 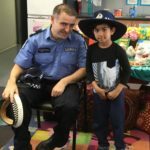 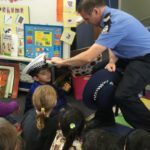 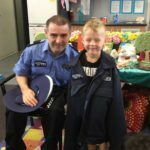 On Wednesday 12th September, Senior Constable Grima visited the Kindy classes to discuss his role as a Policeman and how Police men and women work to keep us all safe. 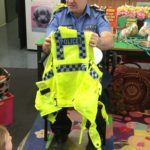 Constable Grima, kindly brought along some pieces of uniform for the children to observe and try on! 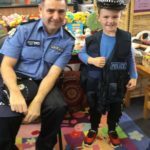 It was fun dressing up in real Police gear! 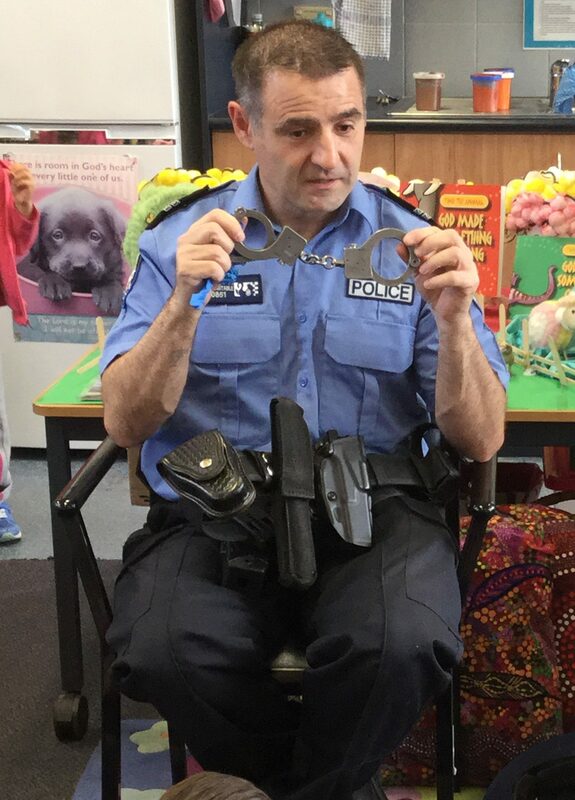 He even gave the children some goodies to take home! 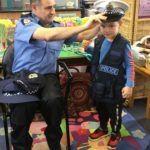 We learnt so much about Constable Grima’s work and we know that we can all upon Police in an emergency or for other kinds of assistance too! It was really interesting to hear that Mr Grima can stop and talk to people even when off duty, if he knows someone is not doing the right thing. 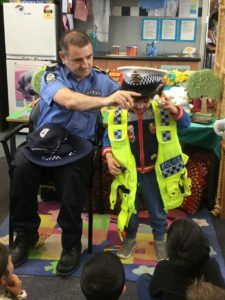 It is great to know that Constable Grima is part of our community, working to keep everyone safe! 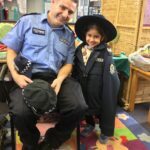 Thank you Constable Grima for sharing your time and expertise with our class! 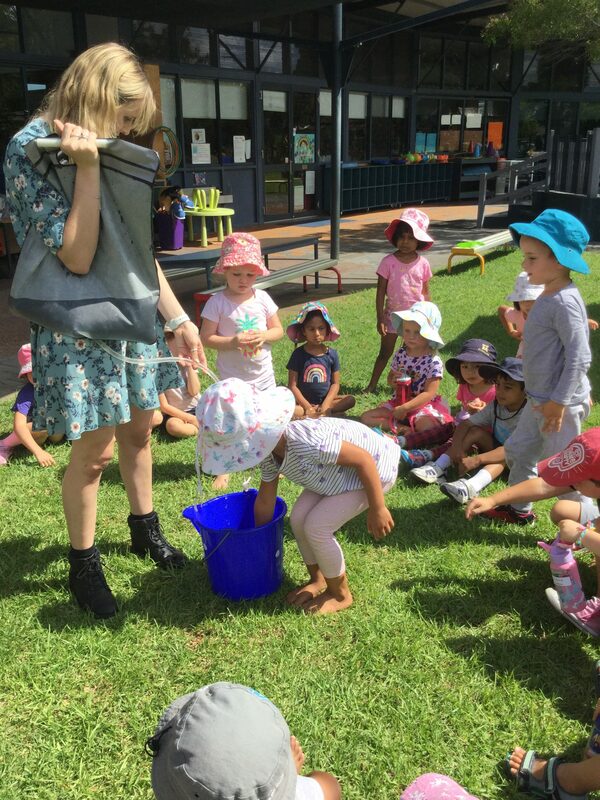 We loved having you visit. 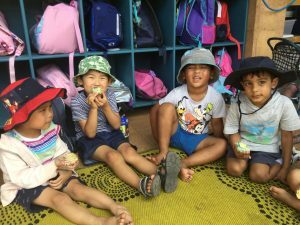 Wishing all families a happy, restful and safe school holidays! 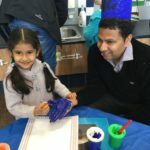 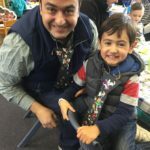 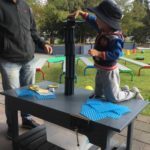 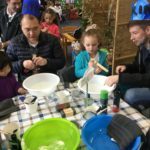 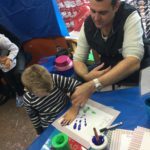 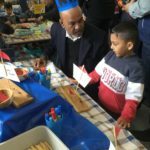 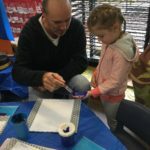 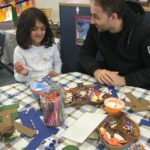 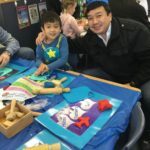 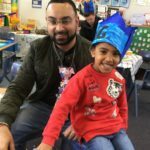 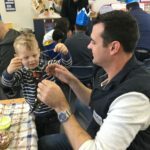 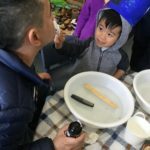 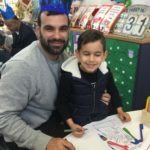 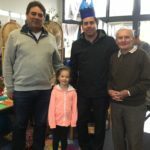 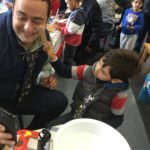 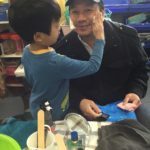 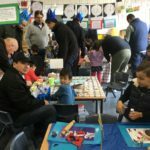 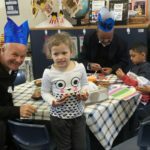 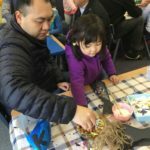 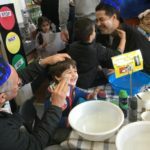 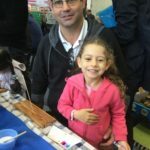 Thank you to all the wonderful fathers, uncles, grandfathers and one very special great grandfather that attended our Kindy Father’s Day morning celebration with the children on Friday 31st August, 2018. 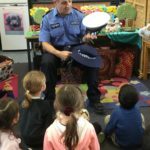 The children were so excited to present their songs, crown you “KING” for the day and they were looking forward to playing and working with you too! 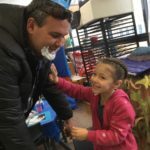 We hope you enjoy browsing through the photo gallery to see all the fun and special times that were shared by all! 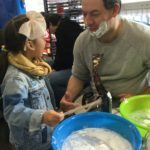 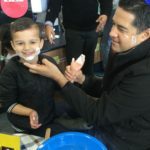 The shaving station was a BIG hit! 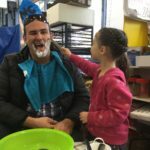 Thanks for being great sports! 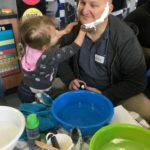 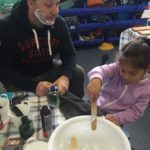 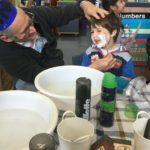 There were lots of family members smelling fresh after their shave! 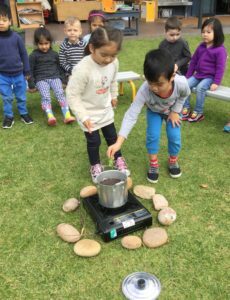 We are learning to measure WEIGHT using scales. 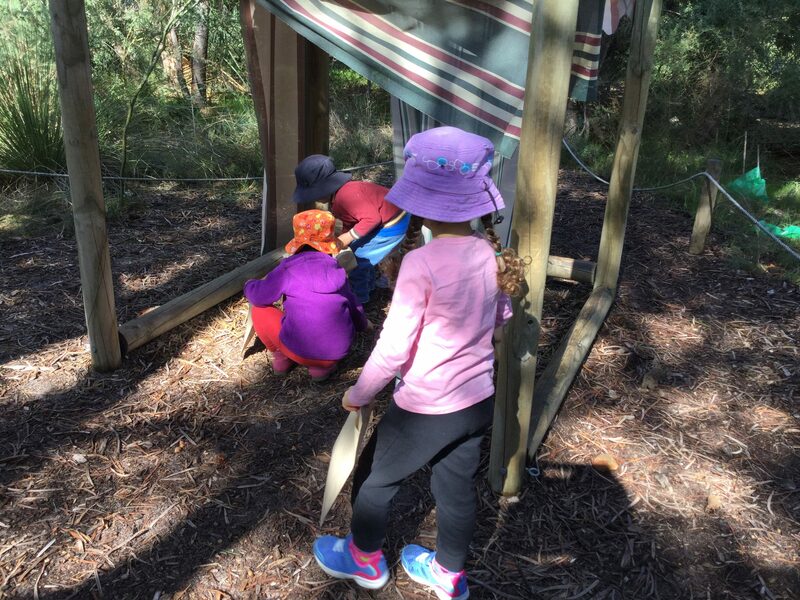 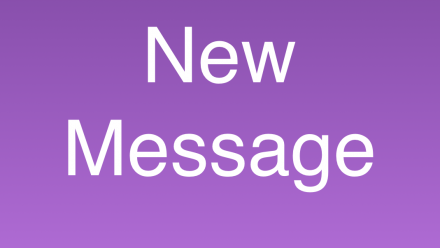 Here is some of the VOCABULARY we have been using: HEAVY, HEAVIER, HEAVIEST – LIGHT, LIGHTER, LIGHTEST – EQUAL, BALANCE. We discussed how we may use scales in the supermarket when we go shopping to weigh our fruit and vegetables. 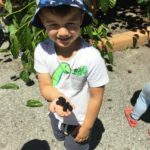 So, mum and dad…next time you are in the supermarket with your child, ask them to weigh your fruit and veggies on the scales! 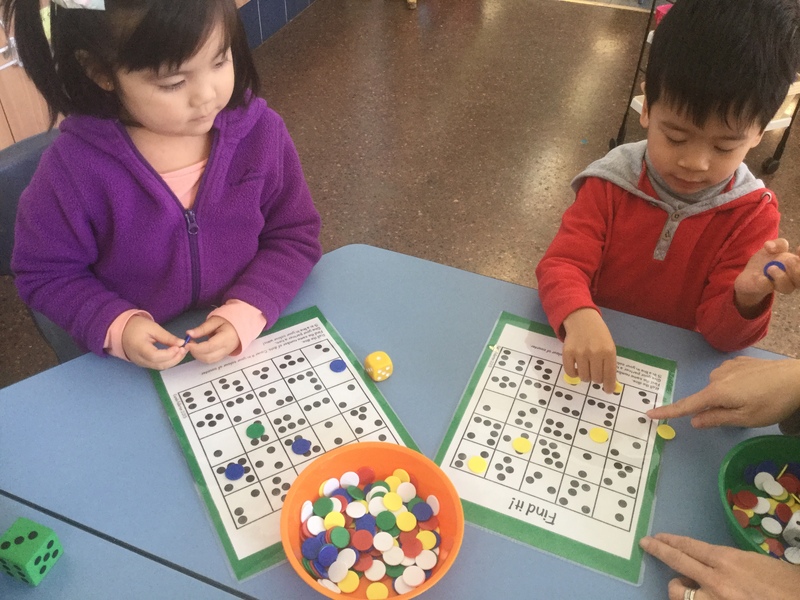 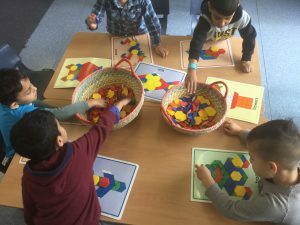 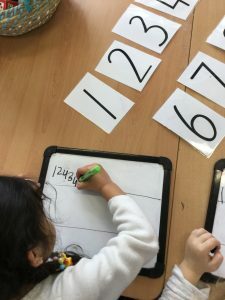 During our “morning work” stations and maths groups we have been practicing various aspects of number, counting and pattern skills. 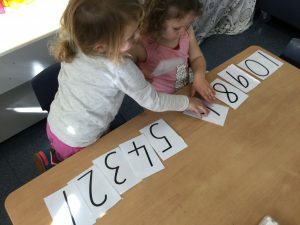 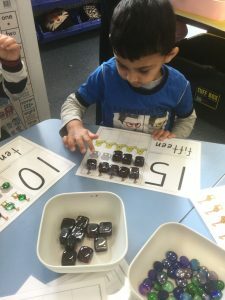 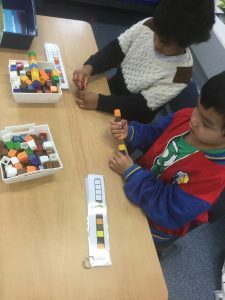 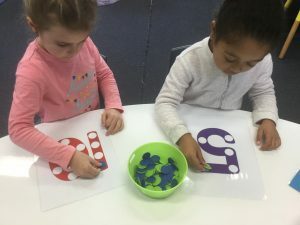 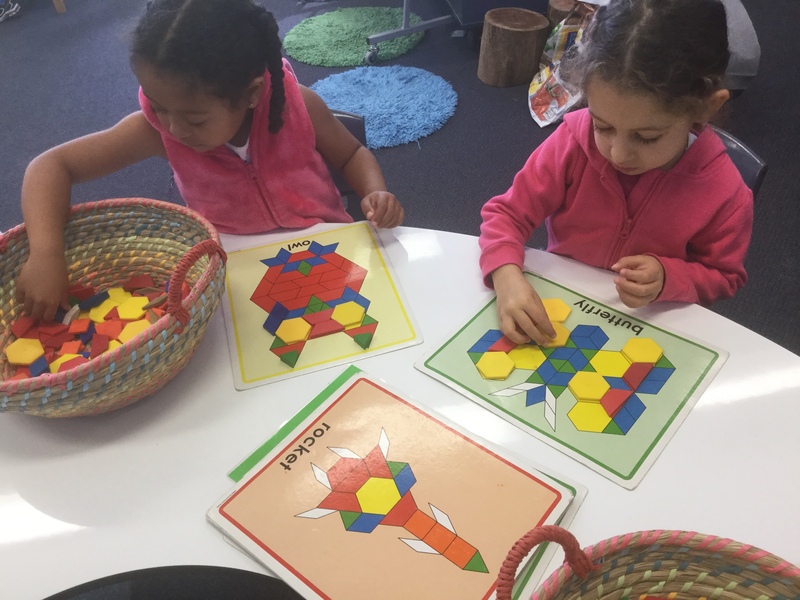 SUBITISING is another important maths skill that we are working on in Kindy! 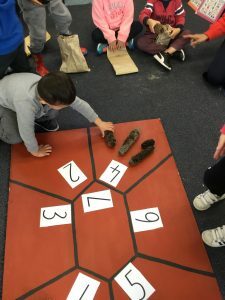 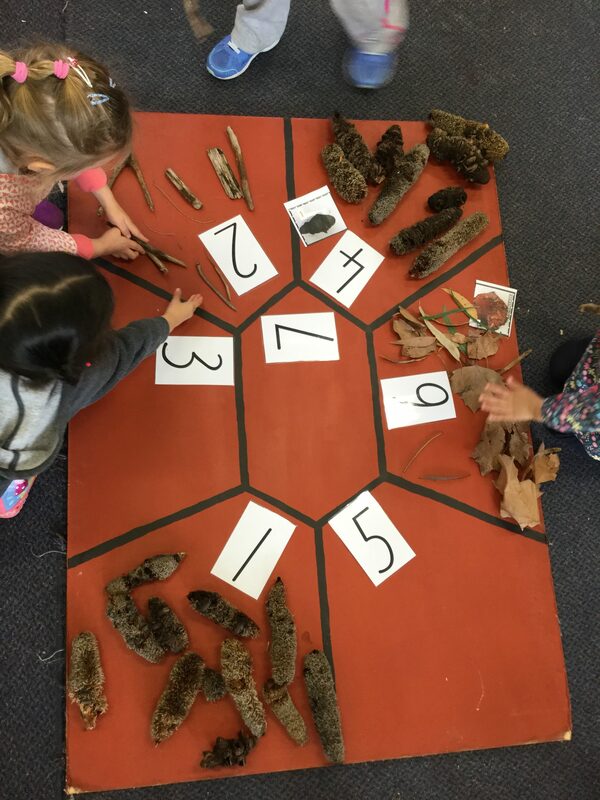 We collected a number of natural resources from our BUSH adventures and we used these materials to conduct our maths investigation. 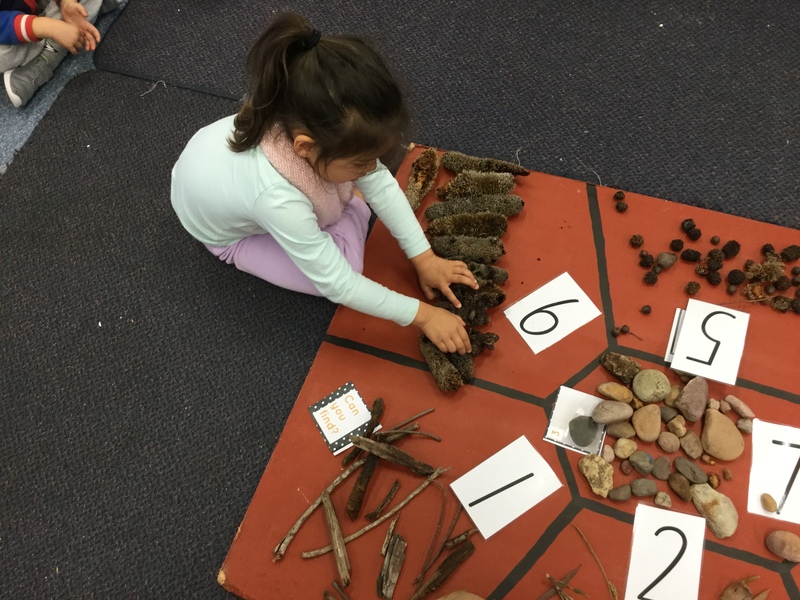 We learnt how to group and sort the resources according to similar attributes. The numbers on our board were not in any kind of order, to begin with. 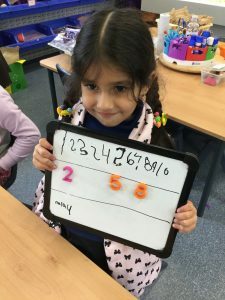 We placed like materials together in each group on the board and we all decided which groups should be classed accordingly and why. 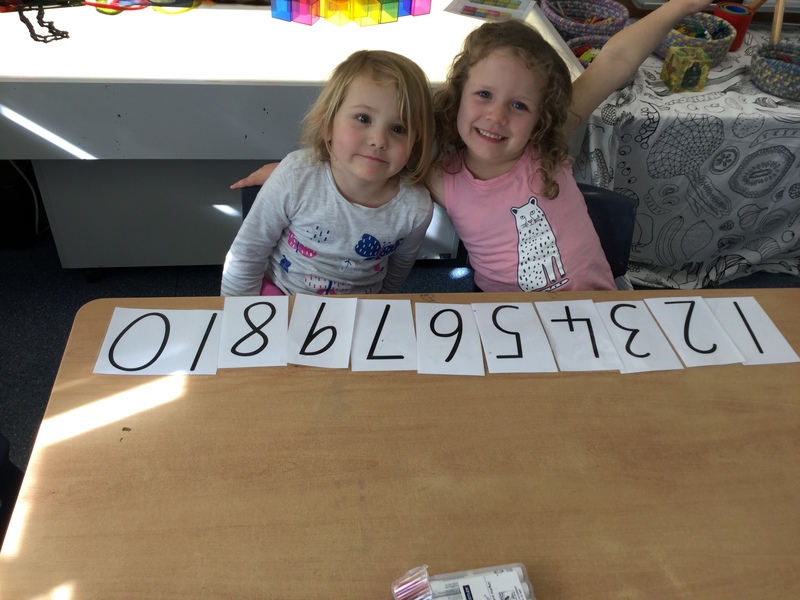 We then placed the numerals into the correct counting order and finally we decided to place some of the materials in height order from TALLEST to SHORTEST in size. 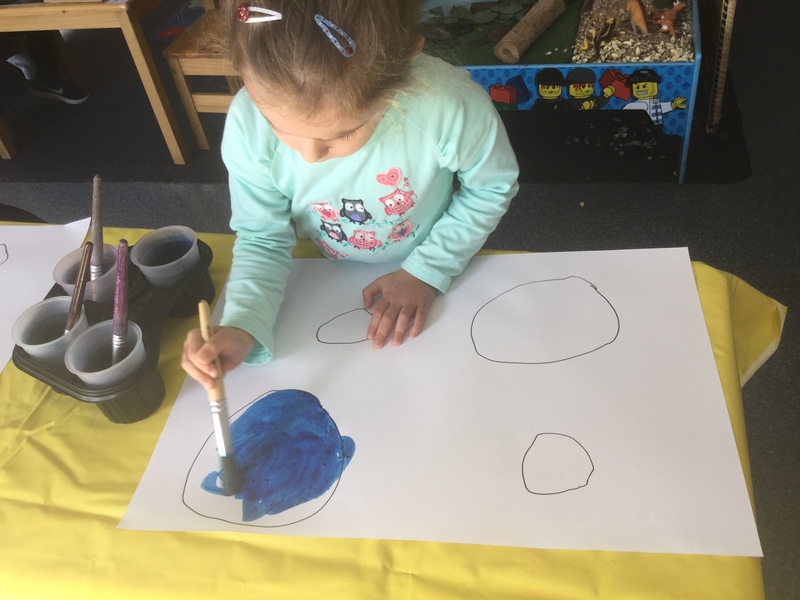 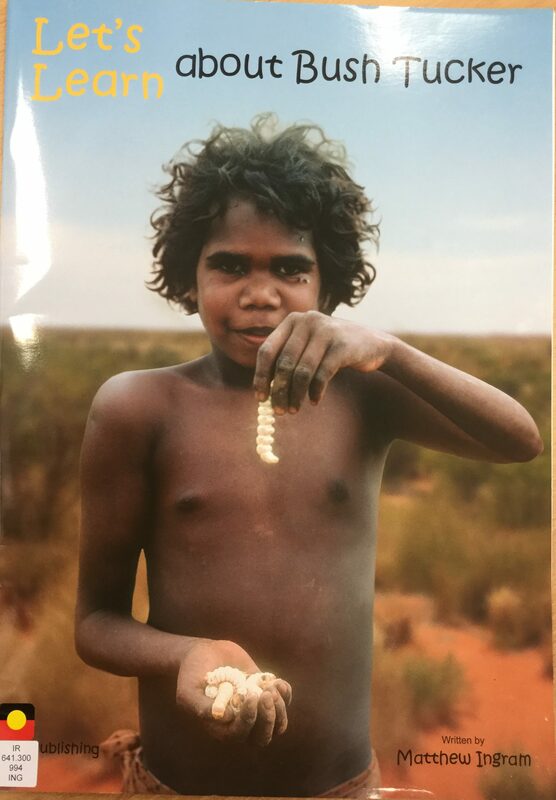 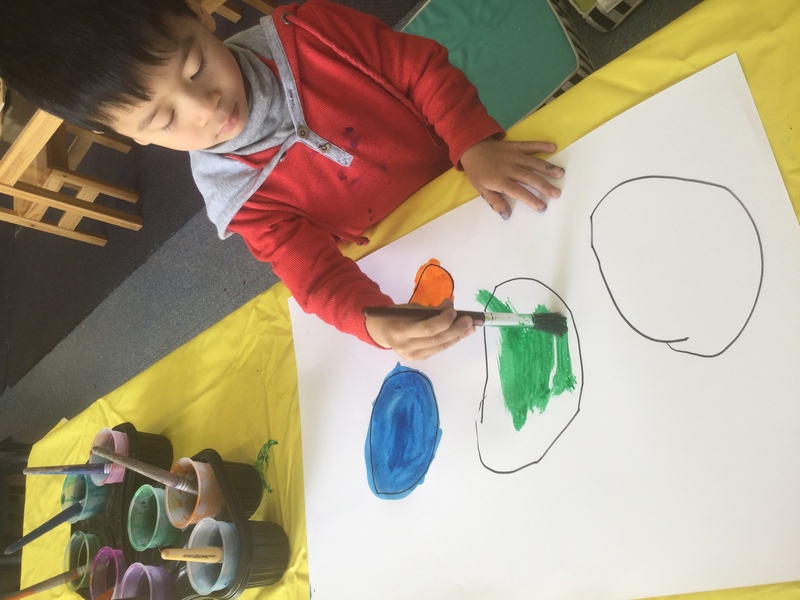 Linking in with our Keeping Safe: Child Protection Curriculum, we have been learning about our bodies and differences in our bodies – we are all unique and all different! 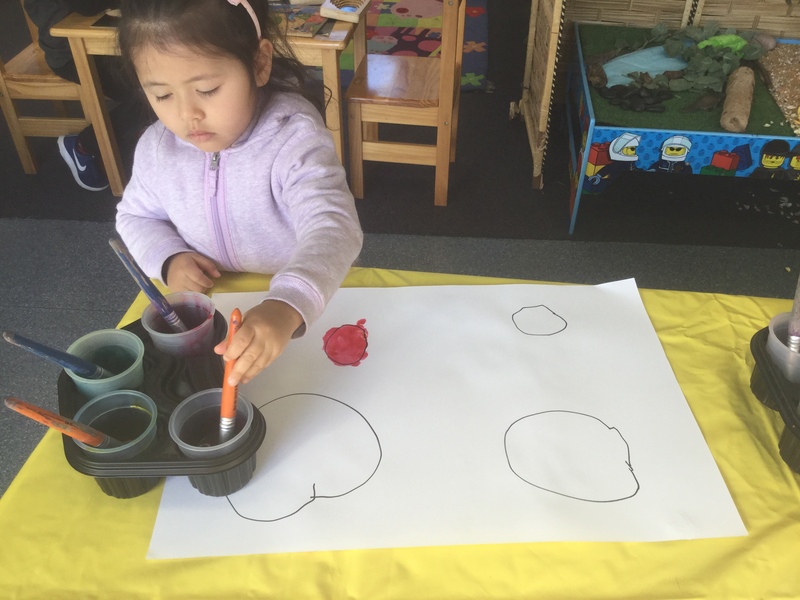 We created handprints to show how every print is different and no-one has the same print. 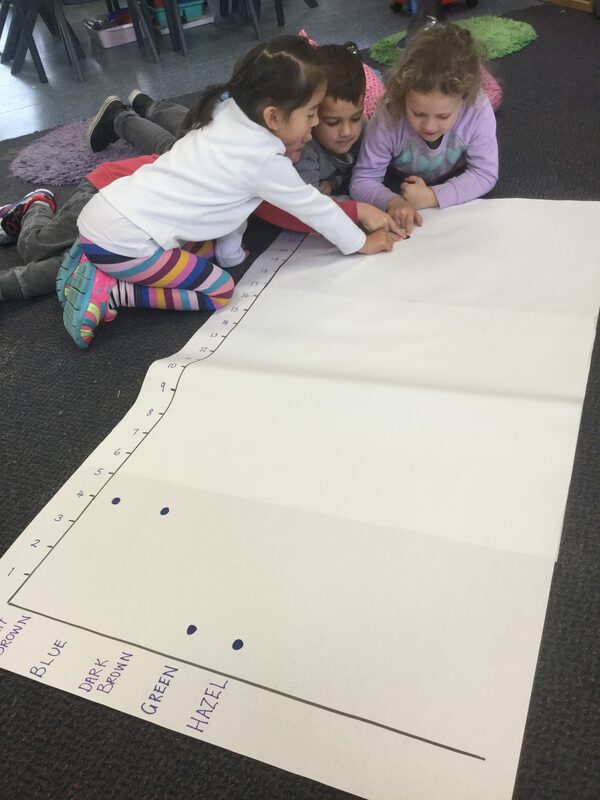 We then explored the differences in eye colour of people within our class and decided to create a SIMPLE GRAPH to represent this information. 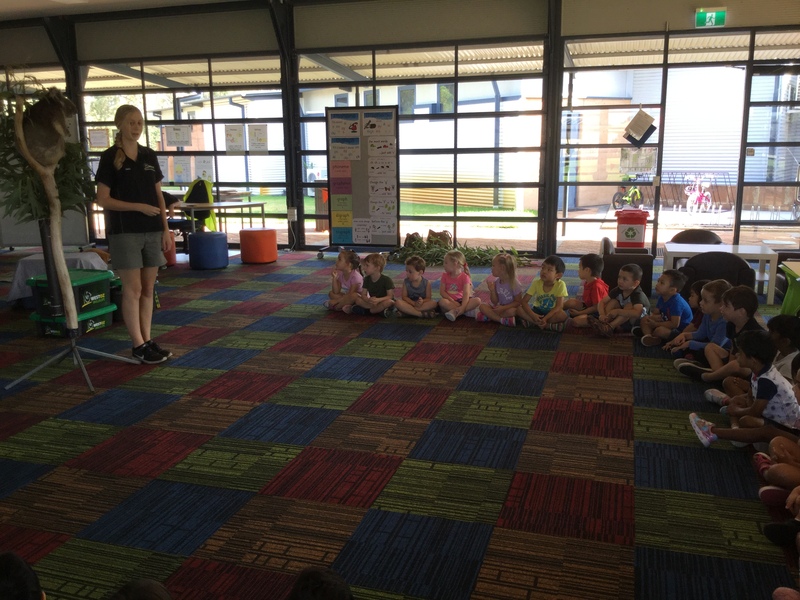 It was really interesting and some of us had to check in the mirror to confirm our eye colour! We discovered that MOST people (22 friends) in Kindy Gold have beautiful dark brown eyes! 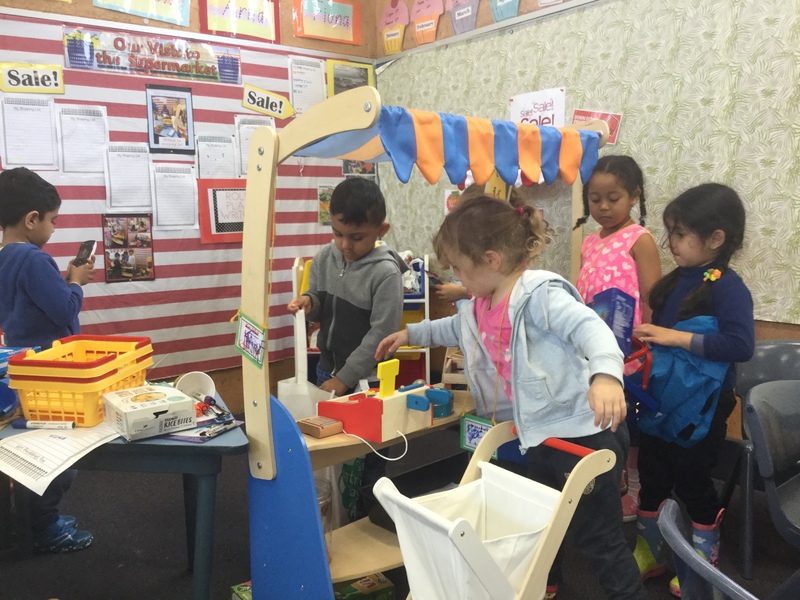 Our SUPERMARKET has been a big hit this term! 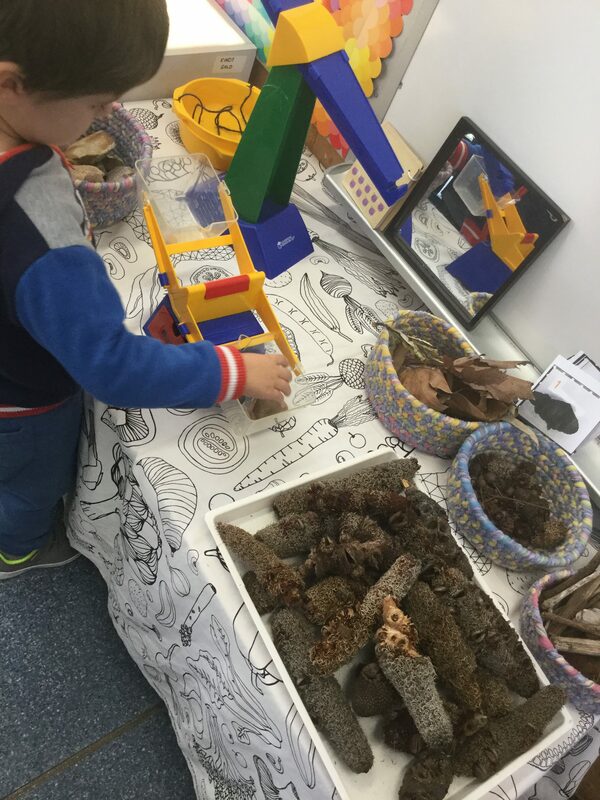 We have had many eager customers visit and shop here! 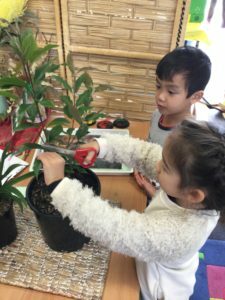 Our dramatic play area provides children with a variety of LITERACY and NUMERACY learning opportunities – they are LEARNING while they PLAY! 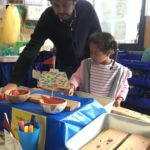 Many children have shown interest in WRITING out their shopping lists, copying words from lists made available in the play space and “reading” catalogues and shopping brochures within our market place. 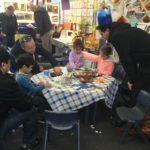 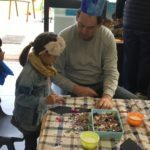 The children are being exposed to Australian currency (coins and notes) while making exchanges with one another through their shopping experiences. We are also focusing on learning Australian notes through our daily transition activities. 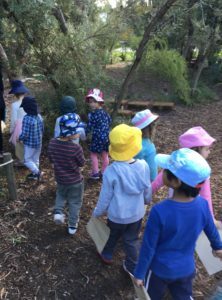 We’re Going on a Bush Hunt! 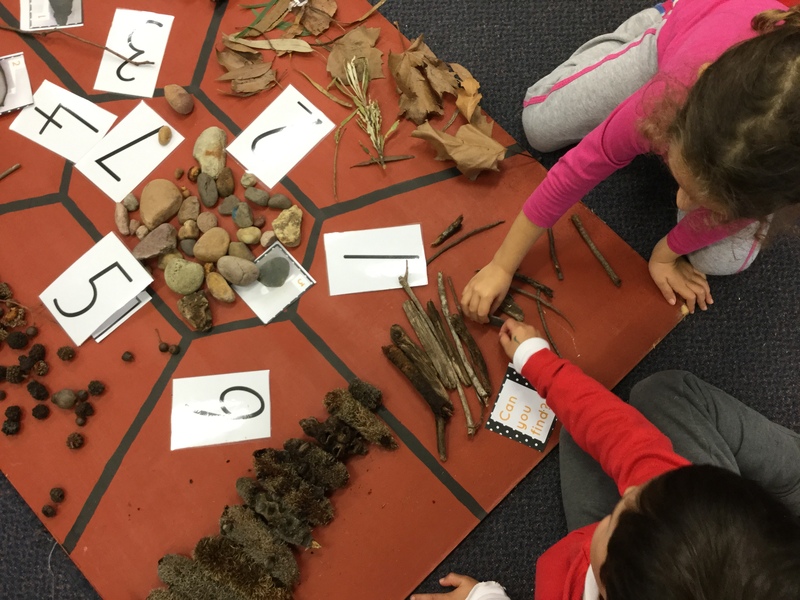 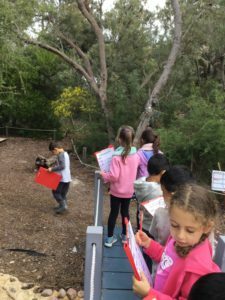 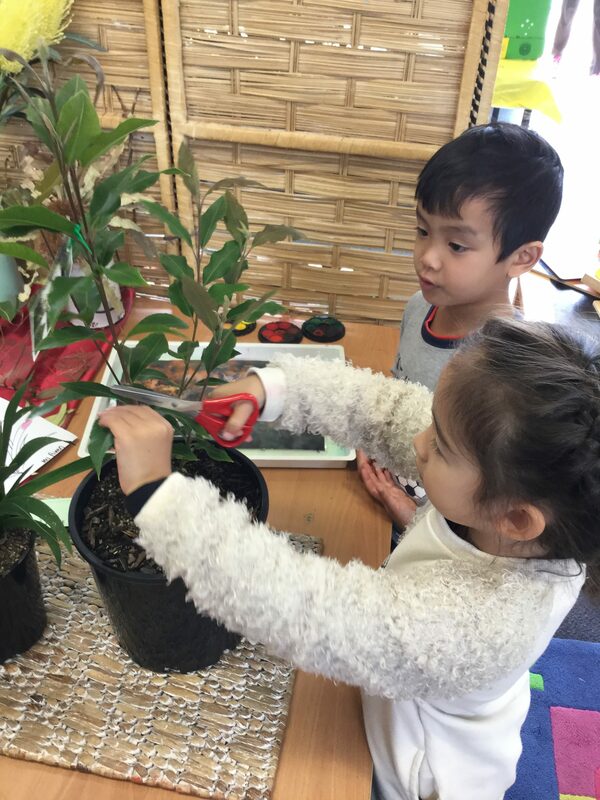 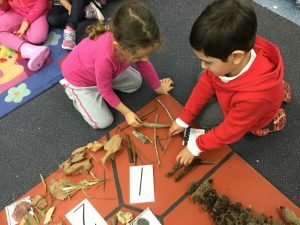 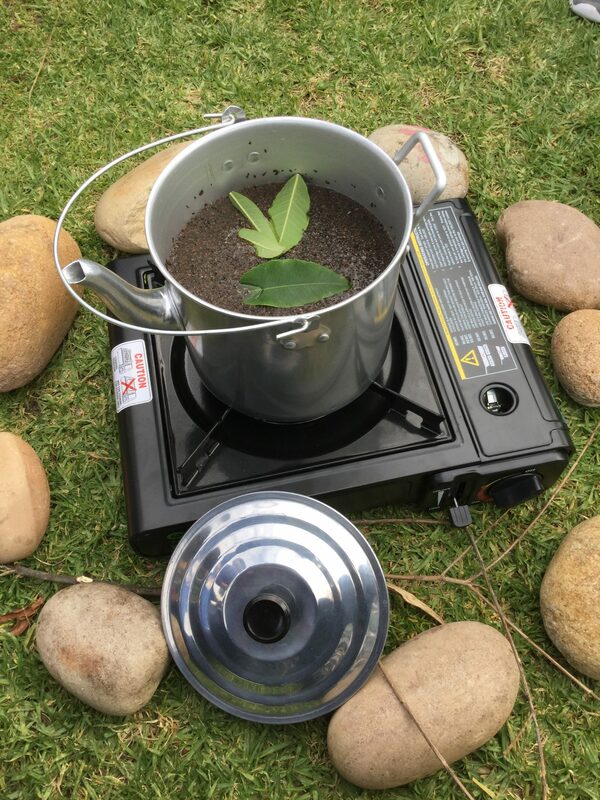 In Kindy, we have begun our Science Inquiry Investigations about the Australian Bush. 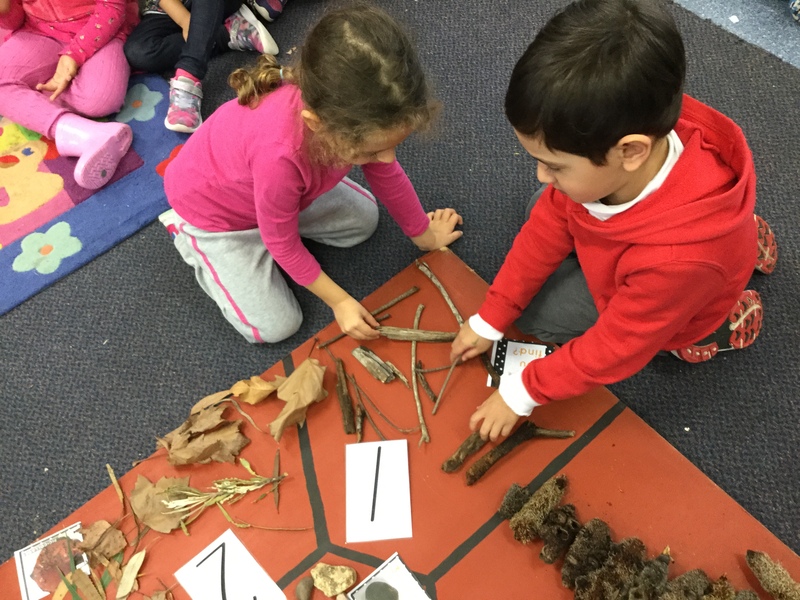 Prior to our “bush hunt”, we discussed what the bush looks like, feels like and sounds like. We then, agreed upon and created our own class “Code of Behaviour” for entering our bush lands. 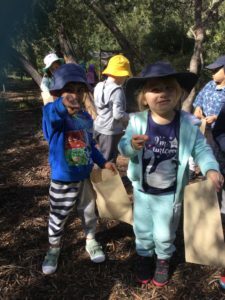 We were so excited to go on our “bush hunt!” We observed and explored the bush surroundings. 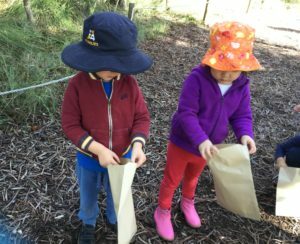 We collected and examined, various leaf matter from the bush floor. During our “Scavenger Bush Hunt” we used binoculars to search for items on our list. 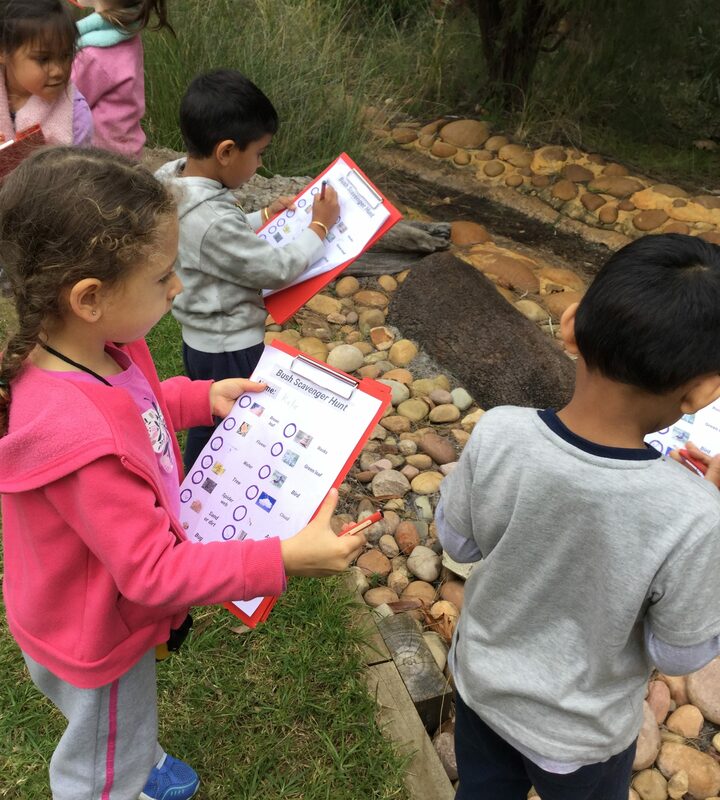 Once we discovered the items on our checklist, we ticked them off, with clipboards in hand. 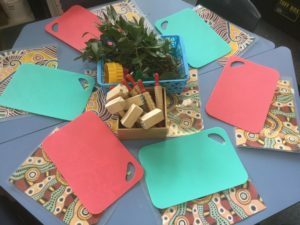 We have set up provocations for learning through play and opportunities for bush inspired art within our classroom environment. 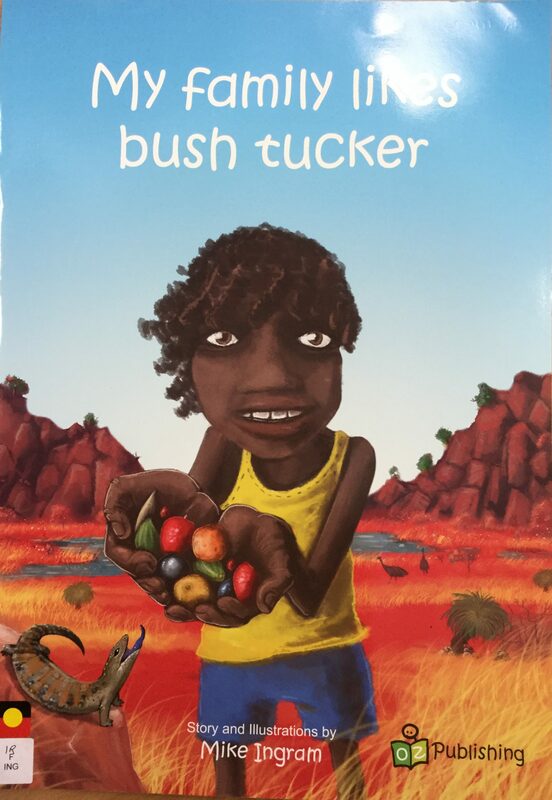 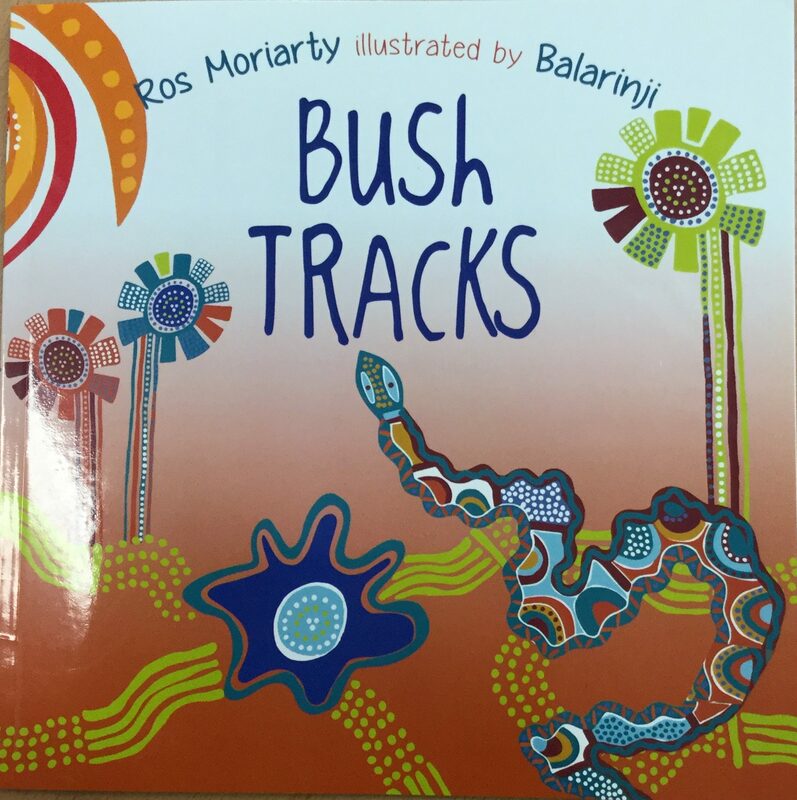 Stay tuned to find out more about our BUSH ADVENTURES! 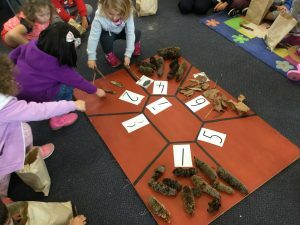 We will be using the natural materials collected from the bush for counting and sorting within our MATHS investigations!